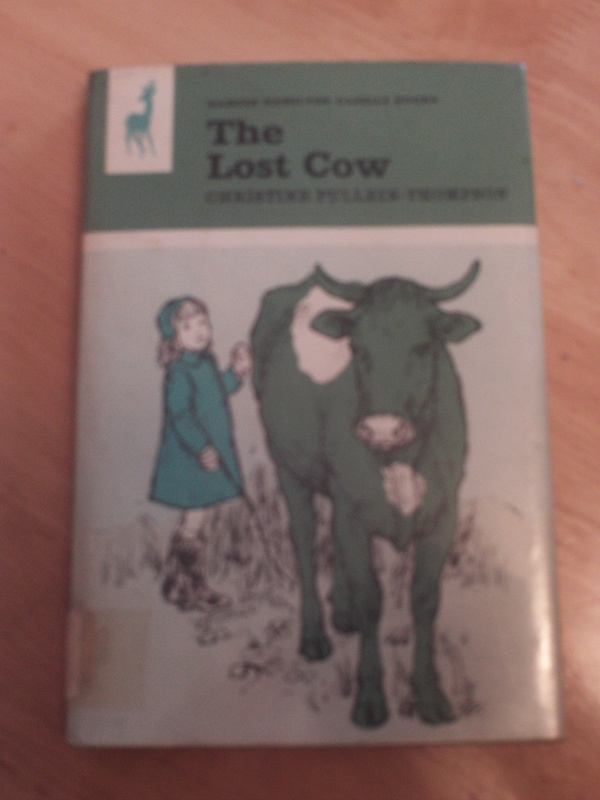 Part of the Gazelle book series, “complete stories for the Very young”, The Lost Cow is an utter treat though not particularly on a literary level. Rather it’s a treat on a sociological and anthropological level, as it’s fascinating to see the shift in both writing and illustration for the very young from 1966 to date. “Why don’t you hurry?” Edward shouted. 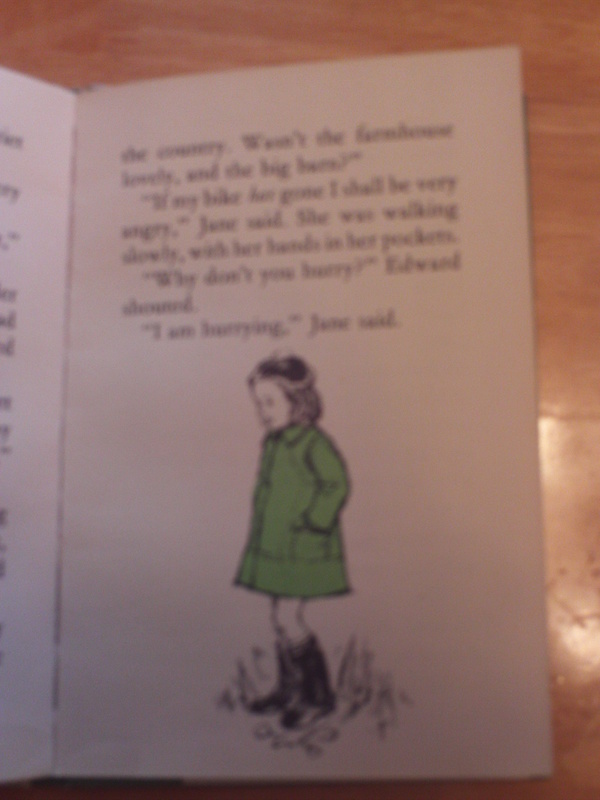 “I am hurrying,” Jane said. Whilst you may be initially inclined to wonder just how a cow may plays in the lane, it’s fascinating to see that the ultimate resolution of the book is basically food orientated. Friendship with farmers and cows aside, these three children now have chance to have tea at the farm! 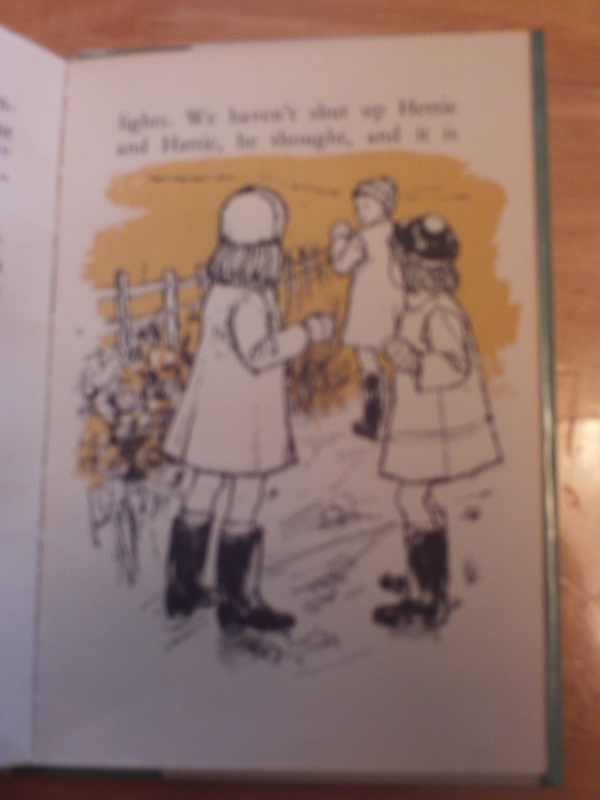 Coming in a Pullein-Thompson book, that’s quite a glorious thing because it’s full of all the connotations of childhood farm life – the creamy milk, the thick plate of crumpets on the fire, and the slice of cut and come again cake (which I still don’t quite know what that is!). The other glorious thing (and deeply loveable) is that even in this book of under 50 pages, full of stilted and very precise language, is that we have the presence of ponies. It is not a Pullein-Thompson book without a pony. The argument between Harriet and Edward pretty much sums up the Pullein-Thompson ideology. The other thing that marks it out as a Pullein-Thompson book is the approving comments of the farmer after the return of his cow. The townie / country divide is strong in this book! From a stylistic point of view, it’s very textually heavy albeit interspersed with some lovely illustrations by Lynette Hemmant. She’s a name not known to me and I was fascinated to see she’s still working as an artist. Though the illustrations are very much of their time, I loved her use of colour. It’s mainly a black and white book but every illustration has a backwash of thick intense colour. I wonder if it’s something to do with the costs of reproduction at the time because there are only three ‘proper’ colours used in the book: red, orange and green. These three colours either pick out notes in the landscape, the children’s coats, or in one particularly startling spread, colour the cow in bright green. I do remember those books, from when I was at Primary school in the 1970s. They were lovely, satisfying books to hold in your hands, and the illustrations were lovely.